Coffee addicts and aficionados often say drinking the bitter liquid makes life worth living, but the habit may also help them live longer, according to two major international studies Monday. Experts cautioned, however, that the US and European reports, published in the Annals of Internal Medicine, failed to show that coffee was truly the reason that many drinkers appeared to have longer lives. Rather, the studies were observational in nature, meaning they showed an association between coffee-drinking and a propensity toward longevity, but stopped short of proving cause and effect. The first study, led by the International Agency for Research on Cancer (IARC) and Imperial College London, examined more than half a million people across 10 countries in Europe. Those who drank about three cups a day tended to live longer than non-coffee drinkers, said the study, which researchers described as the largest analysis of the effects of coffee-drinking in a European population. "We found that higher coffee consumption was associated with a lower risk of death from any cause, and specifically for circulatory diseases, and digestive diseases," said lead author Marc Gunter of the IARC, formerly at Imperial's School of Public Health. "Importantly, these results were similar across all of the 10 European countries, with variable coffee drinking habits and customs." The second study included more than 180,000 participants of various ethnic backgrounds in the United States. It found benefits to longevity whether the coffee was caffeinated or decaffeinated. Coffee drinkers had a lower risk of death due to heart disease, cancer, stroke, diabetes, and respiratory and kidney disease. Those who drank one cup a day were 12 percent less likely to die compared to those who didn't drink coffee. Those who drank two or three cups per day saw an even higher 18 percent reduced risk of death. "We cannot say drinking coffee will prolong your life, but we see an association," said lead author Veronica Setiawan, an associate professor of preventive medicine at the Keck School of Medicine of University of Southern California. "If you like to drink coffee, drink up! If you're not a coffee drinker, then you need to consider if you should start." Coffee is one of the most popular drinks in the world. Some 2.25 billion cups are consumed every day. Many prior studies have hailed the benefits of coffee-drinking, saying the beverage imparts anti-oxidants, may improve liver function and reduce inflammation. But coffee may carry risks for some people, and pregnant woman and children are urged to avoid caffeine, which can be fatal in high doses. A report from the IARC last year that said drinking very hot beverages - coffee, tea or otherwise - is one probable cause of cancer of the esophagus, the tube that runs from the throat to the stomach. Experts who were not involved in the latest studies urged caution in interpreting the results. For instance, the European study excluded people who had cancer, heart disease or diabetes, meaning it took a measure of people over 35 who were already generally healthy. It also asked about coffee consumption just once, at the beginning, and did not update this figure over the span of the study, which included an average follow-up time of 16 years. Finally, it found signs of a link between women who drank large amounts of coffee and a higher risk of cancer death, but downplayed this finding, saying it "may be spurious." The "conclusions will not lead me to start drinking coffee or to recommend people drink more coffee as a way to lessen their risks for heart disease," said Naveed Sattar, professor of metabolic medicine at the University of Glasgow. "I remain unconvinced that the link between coffee and heart disease represents a true cause and effect relationship and that coffee is truly protective, regardless of how large a study suggests this." 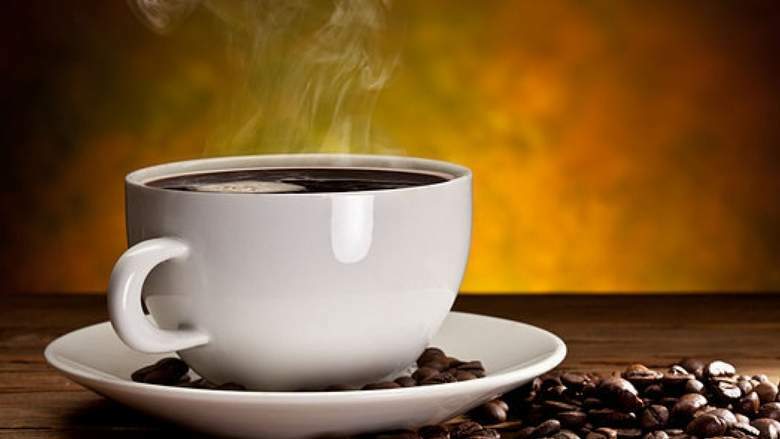 Sattar said that one downside to the research is the fact that many people stop drinking coffee - or drink less of it - when they are ill, a "bias is very hard to fully overcome." David Spiegelhalter, a professor at the University of Cambridge, described the research as "huge in size and carefully done," but nevertheless unable to prove cause and effect. "If these estimated reductions in all-cause mortality really are causal, then an extra cup of coffee every day would on average extend the life of a man by around three months, and a woman by around a month," he added. "So perhaps we should relax and enjoy it."